Civil rights activist Maggie L. Walker was known to say, “Have hope, have faith, have courage, and carry on." Hope, Faith, and Courage: Early Civil Rights Leaders in Richmond, a new exhibition opening at the University of Richmond Downtown, celebrates early civil rights activists in Richmond, Virginia including John Mitchell, Jr., Maggie L. Walker, James E. Jackson, Rosa Dixon Bowser, and Hezekiah F. Jonathan. A special RVA First Fridays opening celebration will be held Feb. 1, 5-7 p.m. 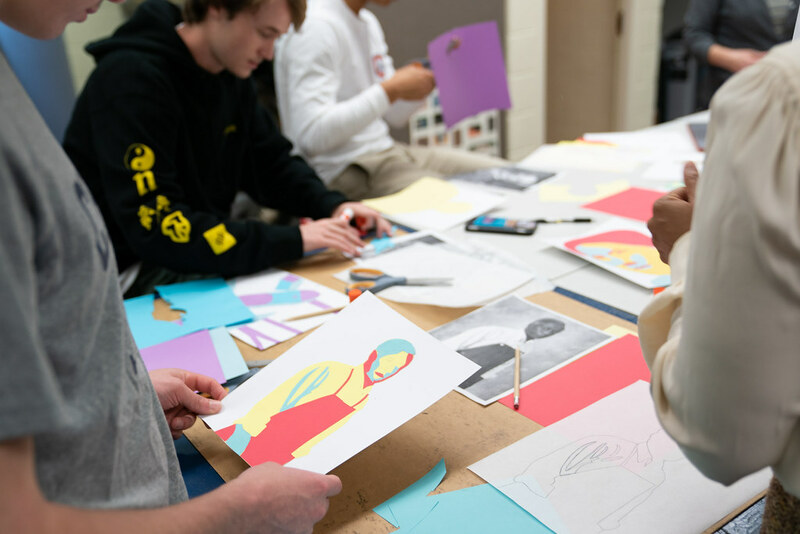 The exhibition will feature cut-paper portraits created by UR students in “Representing Civil Rights Richmond,” a first-year seminar taught by professors Laura Browder and Patricia Herrera, and Open High School students in U.S. history courses taught by Chad Ingold. The exhibition is a companion exhibition to Growing Up in Civil Rights Richmond: A Community Remembers at UR’s Joel and Lila Harnett Museum of Art and The Afterlife of Jim Crow at 1708 Gallery. It will run Jan. 22 through March 22. Media wishing to cover the exhibition’s First Fridays opening celebration should RSVP to Lindsey Campbell at lcampbe4@richmond.edu by Jan. 30. 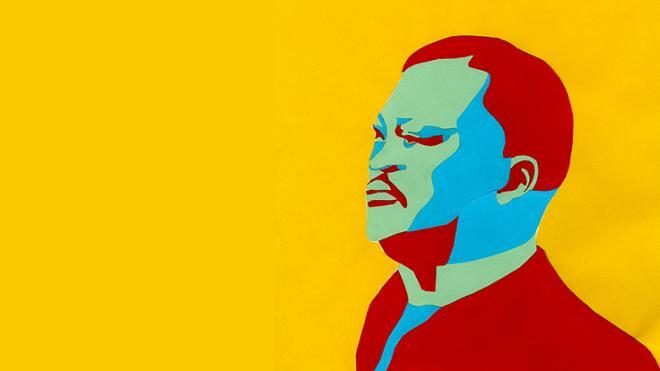 "When we make the lives of these black leaders matter through different expressive mediums, be it through text, art, or performance, we move the social compass towards justice and equality." 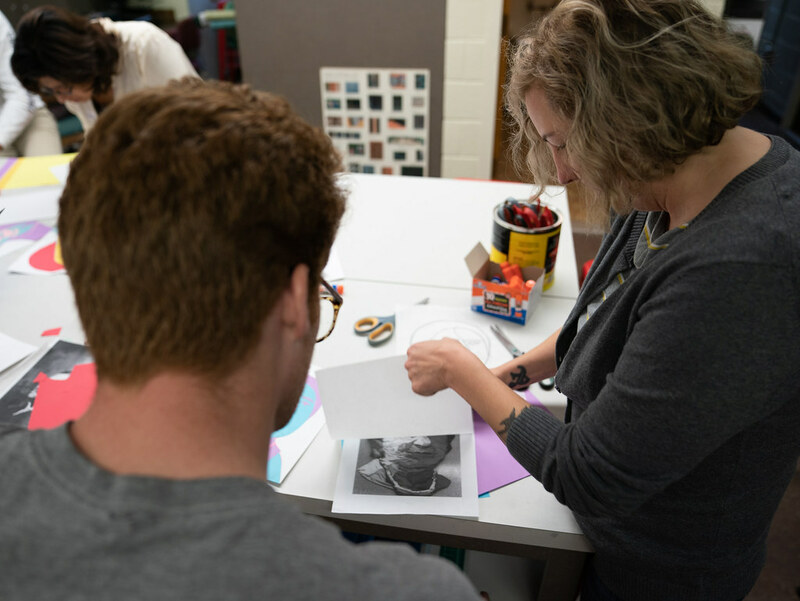 Students were guided through the potrait process by Jen Thomas, book arts program director at the University of Richmond's Boatwright Library. 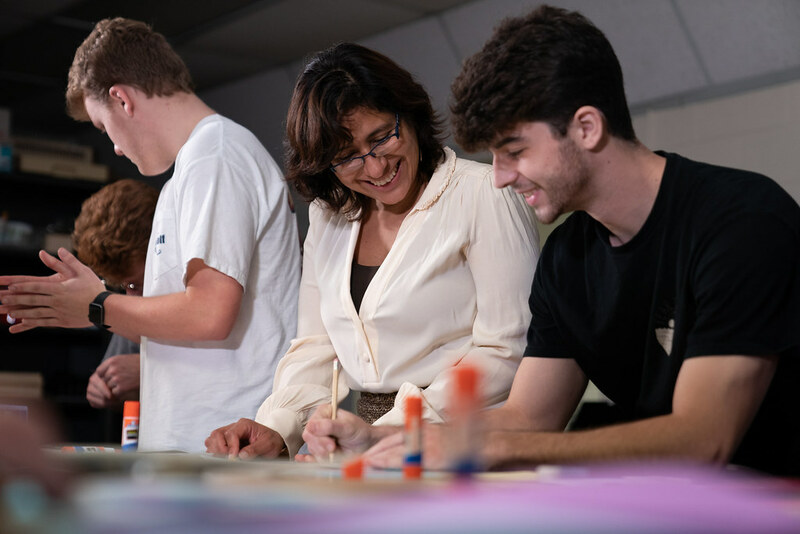 Open High School is the recipient of a 2018-19 Partners in the Arts Emerging Creative Thinkers Project Award.